You may be wondering how I might have the audacity to put a veggie “burger” on the blog after not too long ago singing the virtues of the grass-fed burger. I wouldn’t blame you. Though they both share the same “burger” name, they really shouldn’t. 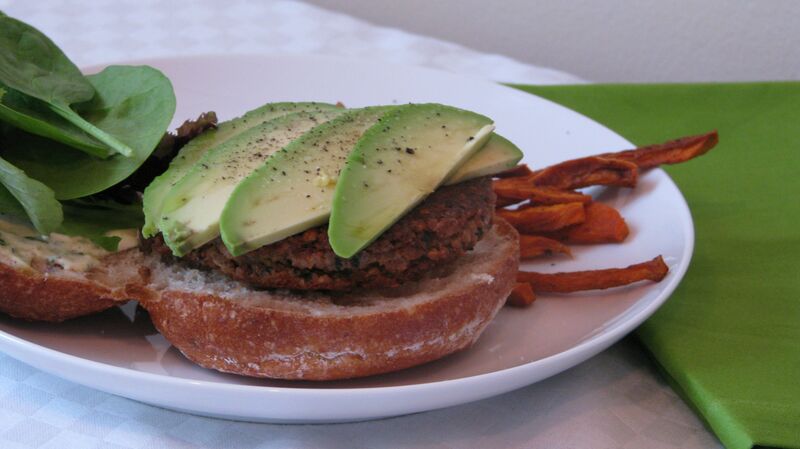 Nothing can compare to or replace a grass-fed burger and this veggie burger has no intentions of doing that. This veggie burger has its own attitude and quite confidently stands alone. It took me a good 7 years before finding and perfecting this beauty. I was so sick of the Boca Burger and others like it. It always seemed unfair to me that just because I was vegetarian, it meant that for Memorial Day Weekend, Fourth of July or any other summer BBQ, I’d have to eat mediocrely while my omnivore friends feasted on some real, good, most likely whole food. This veggie burger is for you, my vegetarian friends. It’s real, it’s good and it’s whole. No TVP (Textured Vegetable Protein) here, thank you. And for my omnivore/flexitarian friends, it’s for you, too. Trust me, you’ll enjoy it in all it’s veggie-ness glory. What makes this such a substantial “burger” is chickpeas. 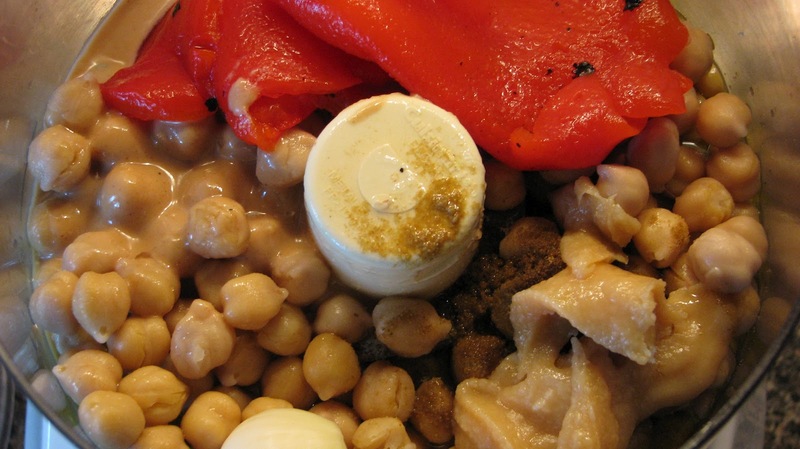 Chickpeas should be a staple in your pantry. This versatile bean holds up well in stews, burgers, pastes/dips, soups, etc. Not surprisingly, they’re super healthy for you, too. The insoluble fiber (a boatload of it, specifically 12.5 grams/cup which is 50% of the daily recommended value) does wonders for our digestive tract. They flush toxins from the body and leave behind some short chain fatty acids that energize the colon and leave it functioning even better.¹ That translates into reduced colon cancer risk. They have a great supply of unique antioxidants that mean all good things for our cardiovascular system. They’re a super source of protein and they regulate blood sugar and cholesterol. 1. 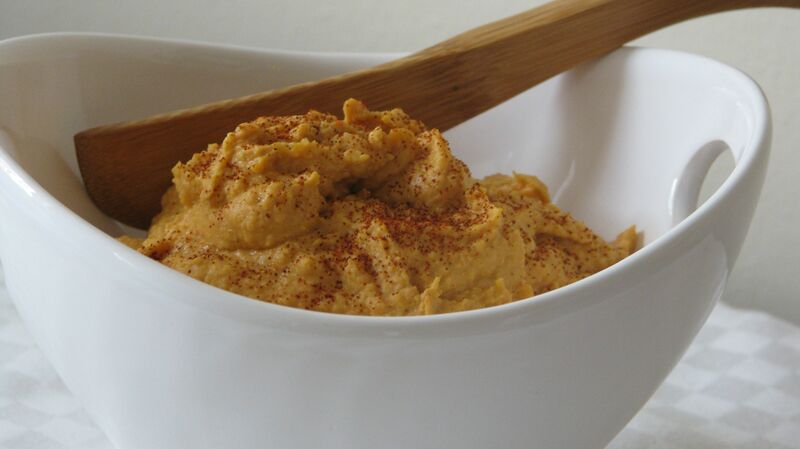 Place all ingredients in a food processor and whiz until pretty smooth in texture. Refrigerate mixture for 15-30 minutes to let it set before making the patties. 2. Heat olive oil in a small sauté pan over medium heat. Cook each burger for about 5 minutes on each side or until golden brown. Be careful when flipping burgers over, because they are a bit delicate. For my vegan friends: Apologies that this is almost, but not quite there. I never tried a vegan version because I enjoyed getting the extra protein and fat from the egg. Plus, it’s such a great binder. Anyway, I hate to leave you out of the party so check out this recipe. I’m dying to try it, too. Next time!